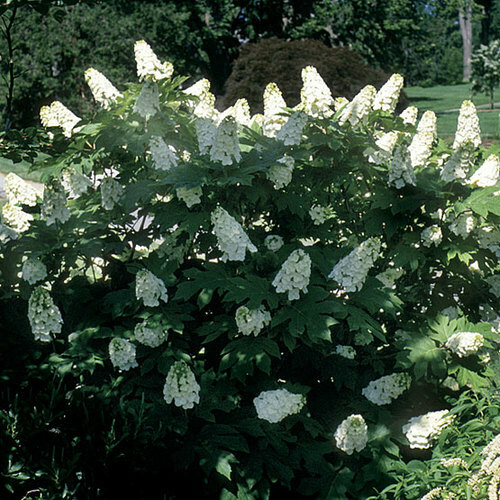 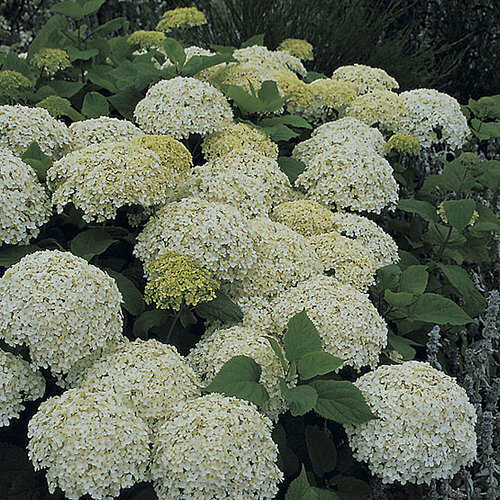 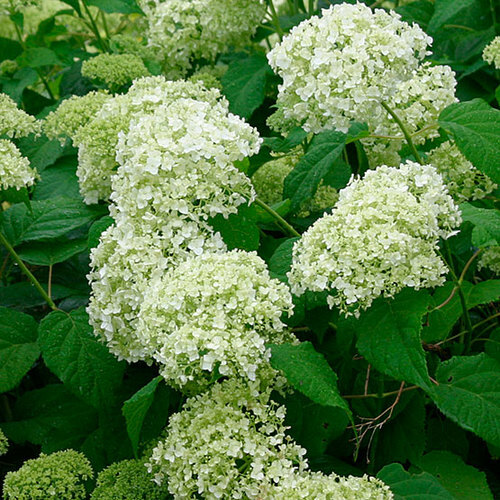 Hydrangea arborescens is a southeastern U.S. native shrub with a rounded habit to 5 feet tall and domes of creamy white flowers over a long period beginning in early summer. 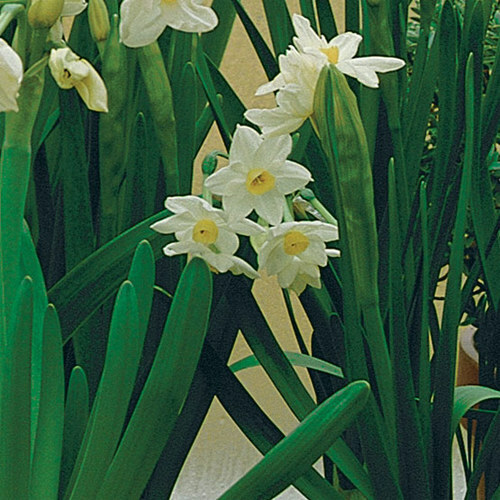 The cultivar ‘Grandiflora’ has larger, showier flowerheads than the species. 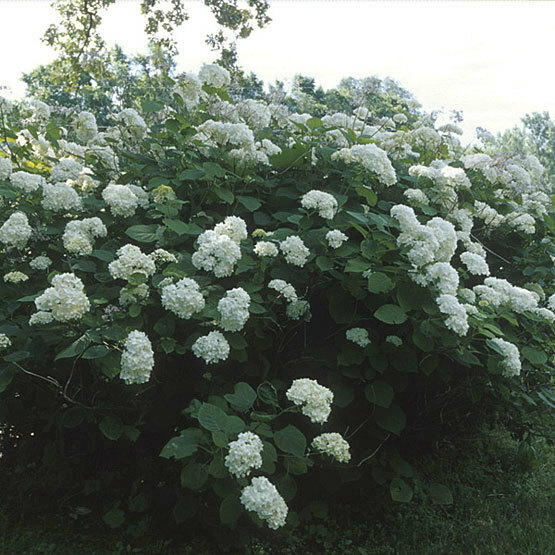 They grow to 6 to 8 inches across. 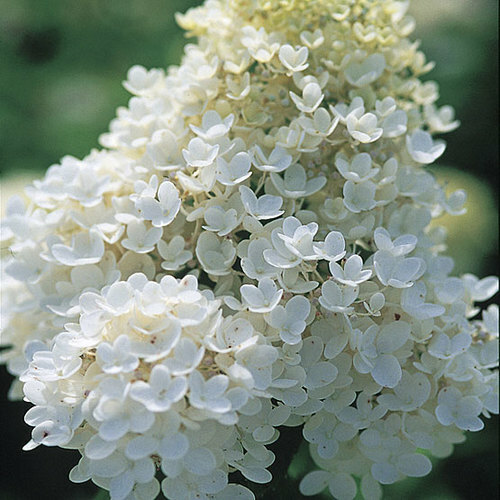 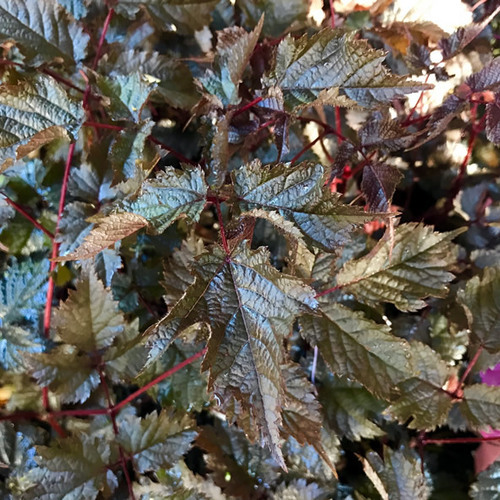 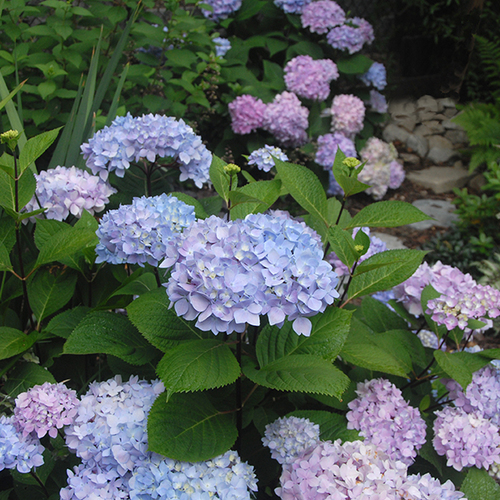 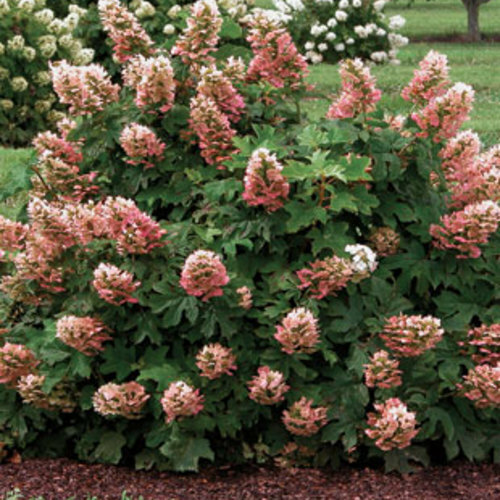 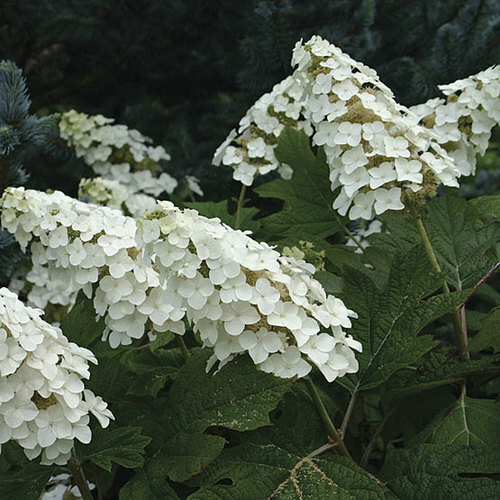 CareSmooth hydrangea is good for grouping a few plants in the lawn or in a mixed shrub border, and prefers shade from midday sun. 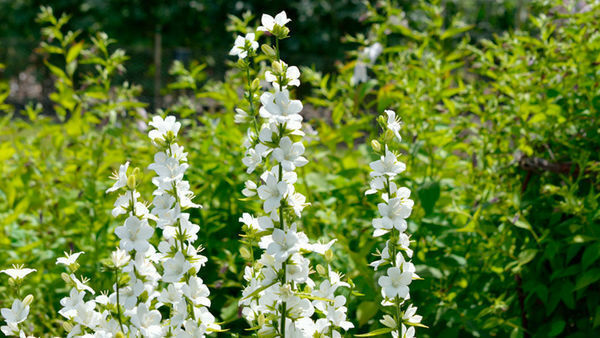 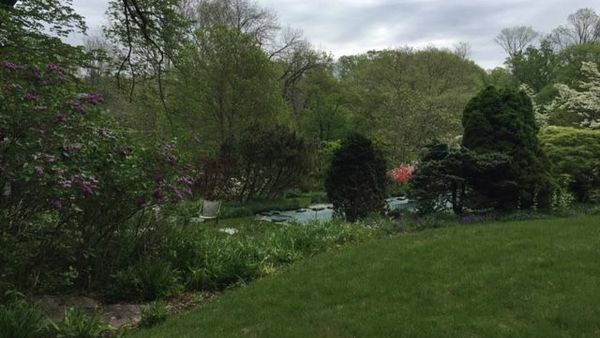 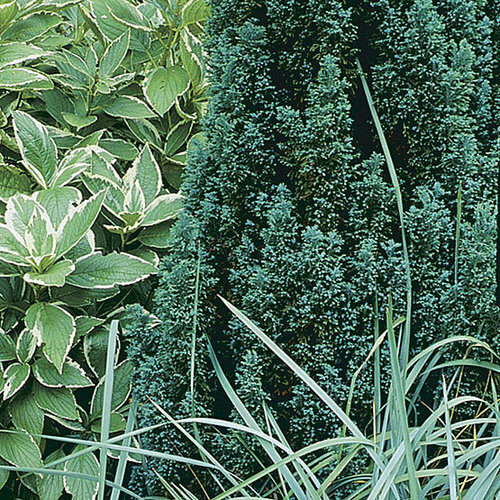 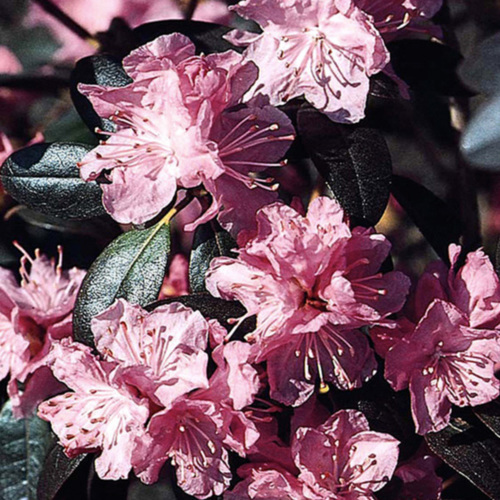 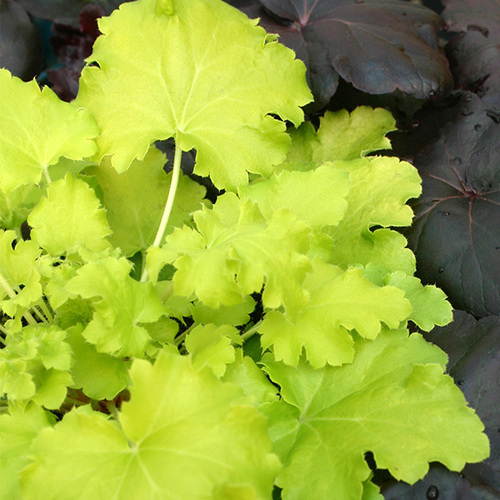 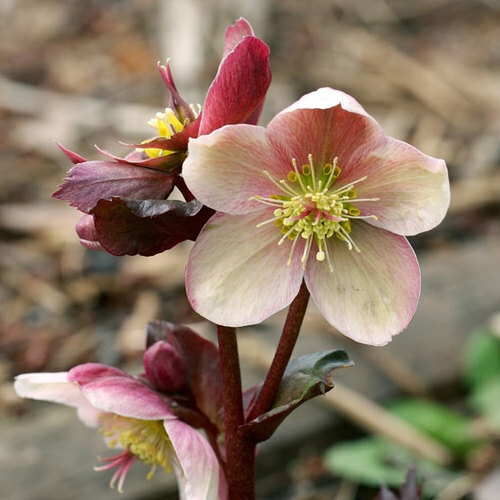 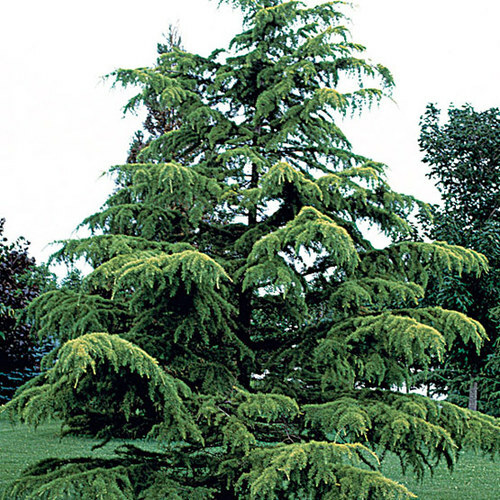 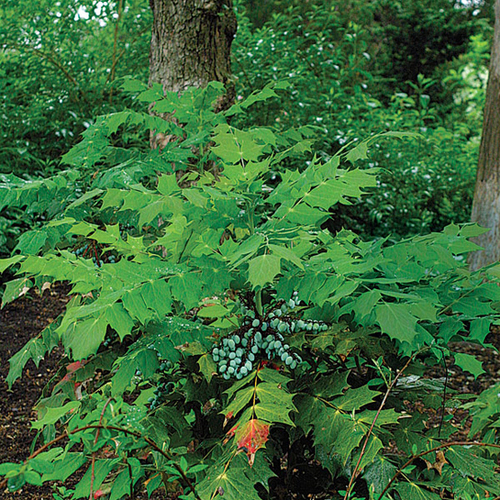 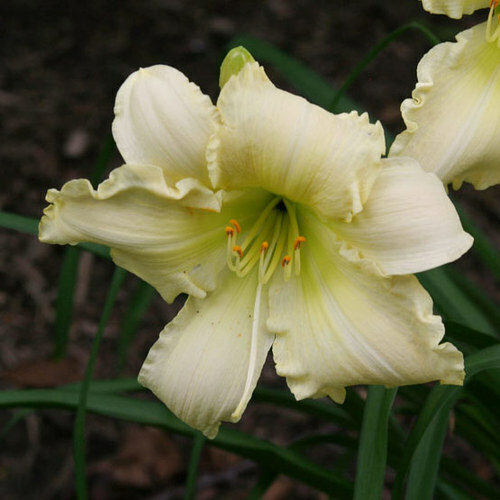 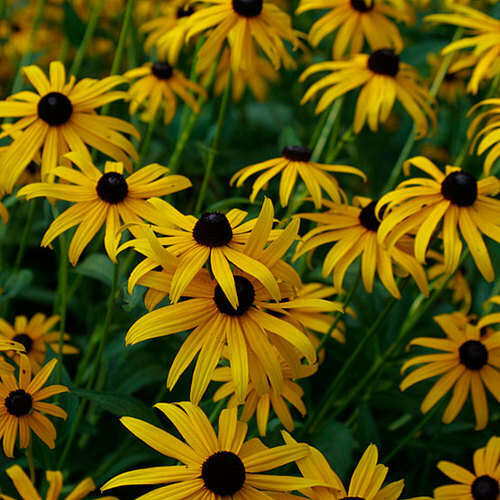 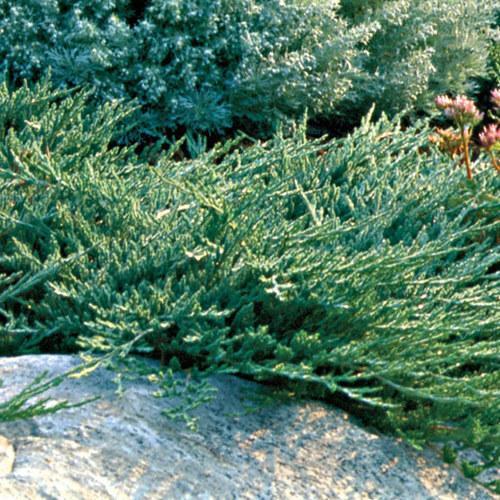 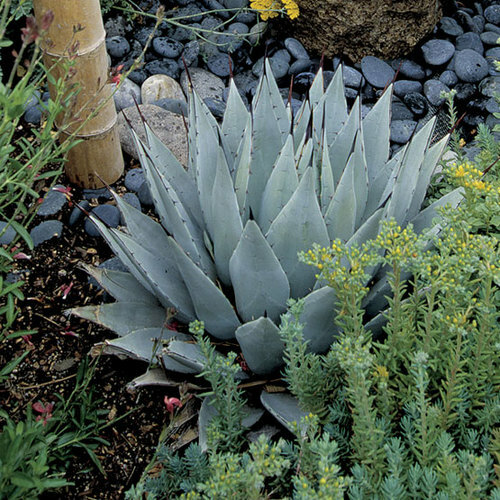 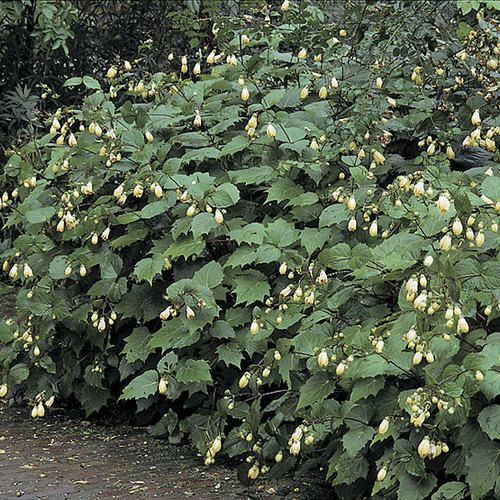 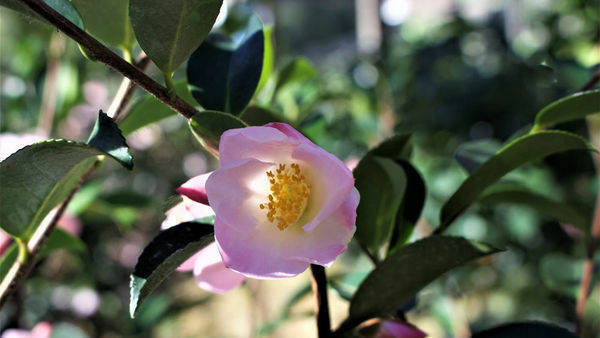 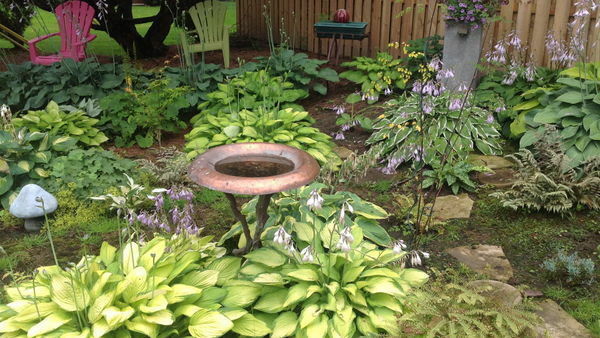 It blooms on current season's wood throughout the summer, and is best pruned to 6" high in early spring.